We’re actually pretty easy to understand. We’re people like you who want to exercise, but also like to have fun. Lots of fun. 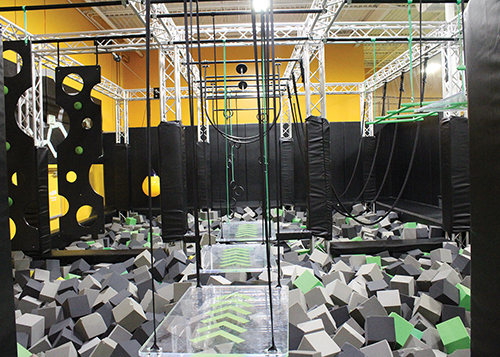 So instead of stair climbers and weight machines, we decided to create a place where you can soar in open jump arenas, dive into pools of soft foam cubes, play trampoline dodgeball, do flips and somersaults. We also wanted a new alternative for birthday parties and family gatherings, where quality food and private party rooms were guaranteed, and our kids could safely play while we socialized with other parents. Come check out our new attractions!